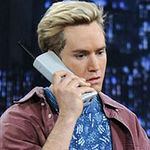 Cell Phone Savings - What Would Zach Morris Do? I’ve always been that guy when it comes to cell phones. And anybody reading this probably knows at least one guy like me – the guy that always goes with the free phone when signing up for a cell phone plan or extending a contract with a current provider. You know this guy – he’s the one walking around with the phone you had two years ago, the phone that just makes phone calls. The horror … the horror! But to make matters worse, I’ve also been the guy who insisted you knew what a financially evolved creature I was – not falling for the overpriced gadgets and advertising enduced brainwashing of those of you wading at the shallow end of the gene pool. And I’ve been fine with being that guy up until this point in my life. Sure, I was still walking around with an analog phone when everything went digital. And yes, I was still carrying around a Zack Morris/Saved By the Bell sized phone when flip phones first came out. By god, you would have to pry my Nokia 5110HJTQWXQ5TM27 from my cold dead hands before I fell for the dufus hipster spell of the iPhone. Ladies and Gentleman – today’s letter is ‘D’. As in – unnecessarily ascetic (for the illiterate that’s “self-denying”) Douche Bag. That’s who ‘that guy’ is. So I’ve had my new iPhone for about a month now and I must admit it is a tremendously useful little device. 1) You all know ‘that guy’ when it comes to cell phones. This is meant as much for your help (so you may not have to listen to the smug, self righteous littled D-bag much longer) as it is his (maybe he can break the pattern of monastic self hatred and conclude that much like the internet, the smartphone is not just a ‘passing phase’). 2) Just because I sold out and have joined the Dark Side with all of you hip smartphone owners and addicts, doesn’t mean I did so without making sure I could justify it from a personal finance standpoint. My decision to switch carriers (former US Cellular customer) and go with the iPhone (AT&T) was made easier by the fact that doing so would actually SAVE me money in the long run by reducing my monthly cell phone budget. Come again … Whiskey Tango Foxtrot?! Well in a recent conversation with my CFO I mentioned how useful an iPhone would be for business purposes: checking work email, managing staff, navigating while traveling, improved business functionality when at various industry events, etc. And you know what – he agreed. And he agreed to the tune of 60% – the percentage of my monthly phone bill that my company has agreed to pay. Do you think my employer would have made the same concession if I told him I wanted him to pay 60% of my phone bill so I could send pages via my Zach Morris XTL9000? So now I have a monthly plan with AT&T (including internet, minutes and text) that runs approximately $115 per month: my share of this translates to roughly $46! My previous plan with US Cellular cost me $70 a month and I had no internet access, the same minutes and fewer text messages. Granted, I did have to buy out of my current contract – a cost of $140. And while it’s possible (even logical) to argue that I could have looked at US Cellular smart phones and accomplished the same thing – namely, save money by getting my employer to pick up part of the tab. But I admit it – the idea of finally splurging for a smartphone and those incessantly catchy Apple commercials led me straight to the iPhone. In my mind, US Cellular didn’t offer a smart phone that could compete with the iPhone on a number of levels – so, I ate the contract cancellation penalty (understanding that my plan to now split the bill with my employer – 60/40 – would offset this upfront cost of switching providers in less than 6 months). The lesson – think outside of the box when it comes to your monthly expenses! Taking the initiative to approach myboss will save me $288 a year – and got me a better phone and more functional monthly plan. And while not everybody might be able to sell their employer on the idea of paying a portion of their monthly bill, perhaps there are other, less obvious, options. 1) shift to a share plan with a friend. Typically, you can add a line to an existing plan for a relatively low monthly fee and up the minutes on the plan for less than it would cost for two individual cell phone plans. 2) look at a lower monthly package. Seriously, when’s the last time you actually analyzed whether you have too much or too little when it comes to your monthly minutes? If you only talk an average of 400 minutes during peak hours, there is no reason to be paying an extra $20/month for a $900 minute plan. Call your provider and ask them to analyze your usage over the last 6 months. 3) For you smartphone users – look for apps that can save you money! I found a great app on the iPhone called Textfree. The app assigns you a second cell phone number (used only for texts) and allows you to send and receive texts FREE OF CHARGE. And the cost of this app – $0! While it’s a bit clunkier than my AT&T text messaging service, it did allow me to parse my service plan down to AT&T’s lowest text messaging package (so I can keep a recognizable cell phone number for business related texts) and has worked swimmingly for texts with friends and family members. 4) Be proactive. If you know you’re going to be over your minutes for a month or over your text messaging allowance, call the carry or go to their website and change your plan (ALL companies will allow you to backdate a service change). So if you’re on a monthly plan that offers 1,000 anytime minutes and you just checked your monthly balanced and realized your 500 minutes over, DON’T pay the overage! Instead call your company, have them change your plan for the month to something that covers your overage and then some, and request that they back date it to the beginning of your current billing cycle. Cell phone carriers allow you to freely switch between monthly plans (though there can be the occasssionaly difficulty when it comes to certain promotional plans) – so take advantage of that if you find yourself faced with the prospect of paying ridiculously expensive overdraft fees. Any other ideas on how to save when it comes to your cell phone bill? Other tricks you’ve used to reduce your monthly wireless expenses? What about your kids cell phones?